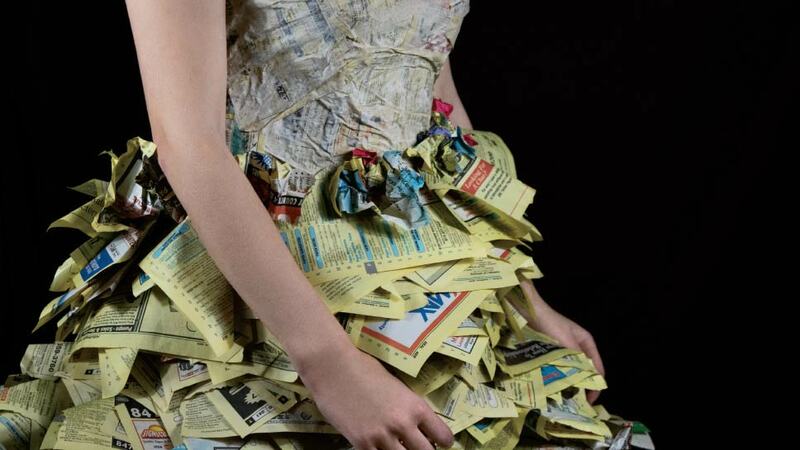 There are many extraordinary things about Isabella Strauss, a Barrington High School freshman who caught the attention of school leaders late last year when she unveiled the most curious of creations for a Contemporary Sculpture class—an actual ball gown fashioned from the pages she and her grandmother tore out of discarded yellow pages. That feat, amazing as it might be, is just one of them. Rewind to the Barrington kitchen where a 2-year-old Isabella astounded her mother with what may very well be her runway debut—a piece of clothing (using that term loosely) created using a string of pearls and an old phone cord. By the time she was in the fifth grade, she began drawing clothing for figures she found in a fashion design book. Simultaneously, she aspired to be a cartoonist. “I did the fashion stuff on the side,” Isabella says, telling the story about the time she made a dress out of wrapping paper (and had someone take a photo of her wearing it) that she included in her art portfolio at Lines Elementary School. Given those life details, one might think this creative 15-year-old is destined for a career in haute couture. However, chat with her a little bit longer and you’ll quickly realize that these works she’s bringing to life are closer to wearable art than “ready-to-wear” clothing pieces. She’s making a statement, and it’s about more than fashion. The dress that has drawn all the buzz took more than two weeks to make. 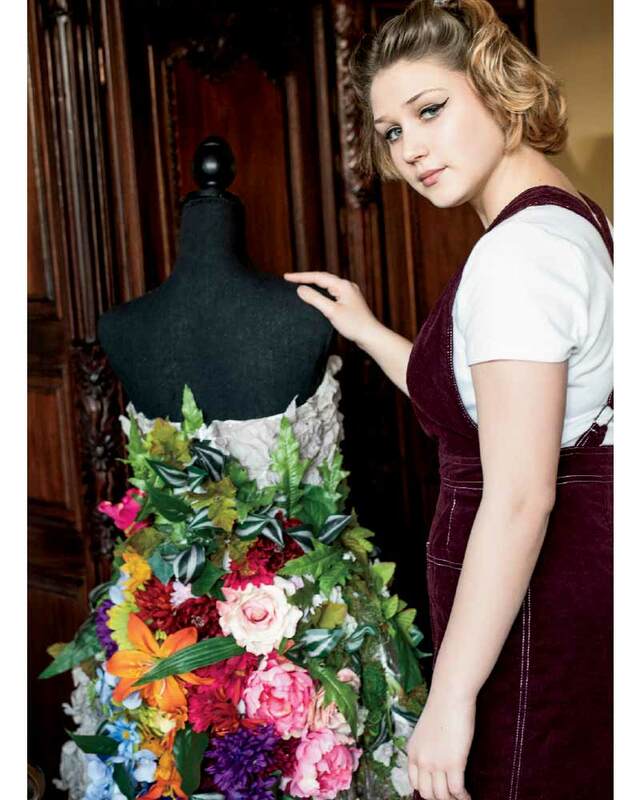 She worked after school and on weekends to design and assemble the full-length ball gown, using papier mache techniques and a glue gun to bring it to life. She made it specifically for the “Text Gallery” as part of her Contemporary Sculpture class. 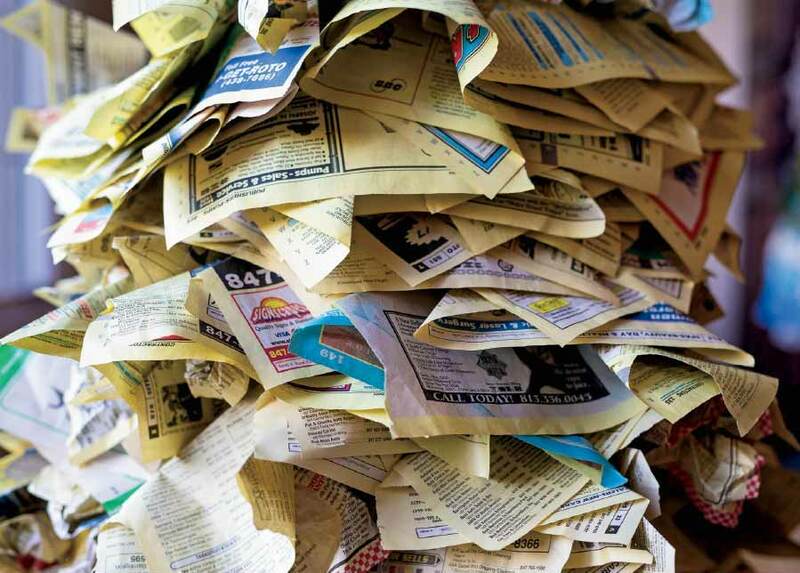 The assignment was to create a work of art featuring text as a major element. The title of this masterpiece? Isabella credits her parents, Rick and Catherine Strauss, for supporting her through this project and all her previous artistic endeavors. She is an amazing artist and an amazing person. Congrats Iz!!! Thank you, Sherry Thomas, for the lovely article. Cheers!